As I walked, I was lost in my own thoughts regarding an earlier event in the morning. I awoke at 4:45 and checked the computer. The New York Times had Obama in the lead, but with only the east coast states reporting...not much to go on. As I drove out of the parking garage onto the dirt road, in front of my building, I passed a little brown boy and his sister - waiting for the bus, I am sure, which often blocks my path each day. I smiled as I drove by him. I suppose my thoughts drifted to my supposition that an Obama presidency would give this little boy, halfway around the world, a chance at a better life. I was quickly drawn back to reality when I heard another group of younger boys listing states. "He got Mississippi," one boy said. "And he just got Texas." These boys were clearly in 5th or 6th grade. I smiled at how captivated they were by the election, although it was hard to tell if they were excited about those facts or not. I knew the faculty as a whole had done a phenomenal job educating our students about the election, the candidates, and the electoral process etc. We had a school-wide election assembly with students representing McCain, Nader and Obama, as well as their families, campaign staff and the secret service. Students had made Facebook pages and Yes, We Can commercials of their own free will. A radio station even came to interview the students and aired the session on several stations, including the Hindi ones. In the two hours between when I first woke up and when I got to school, Obama had received about 130-something electoral votes. I met my principal on the way into the building, and he predicted Obama would make his acceptance speech by midnight. I didn't believe him. I still don't - and it happened nine hours ago. The hour between those 130-something odd votes and 334 electoral votes went quickly. Pennsylvania came in. And then came Ohio. I began to breathe. But, I wasn't yet convinced. It was a little hard to believe, and it still is, that the country formally known as home would elect Mr. Obama, or any black man. It was a little hard to believe, and it still is, that the country I grew up in, that never felt like home, would elect Mr. Obama, or any black man. It is still hard to believe that the place that always made me feel like a second-class citizen, could transcend its fear of the other, and make a sound decision about its leader. Oh, I have the faith that many individuals can. But the majority of registered voters - I was skeptical. My friend Erika got the school to ensure a live feed from her laptop through the projector to the screen for today, so I planned on watching election news in there during my planning period. Almost immediately after I read CNN's statement that they would not make any early calls without the votes coming in, Ohio turned blue (crib!) and CNN's John King admitted that there was no mathematical path to victory for John McCain. I was still prepared for something to go wrong. I grabbed some papers to grade and my laptop and headed to Erika's room. The Times was calling Washington state even though they had 0% reporting. Even the history teachers were trying to understand that. NPR, CNN, and The New York Times all had Mr. Obama with between 204 and 293 votes. By the time I ran an errand and returned, Mr. McCain was giving his classy and appropriate, concession speech. The tears began to flow. Erika and I were balling, and everyone else was glued to screen. In between McCain's concession and Mr. Obama's acceptance, I went to get tissue. Erika sent out an email announcing that the acceptance speech would be on at 9:00 (our time), so to come watch - in her classroom. I hadn't graded a single paper, and was not sure how I was going to fare the remainder of the day. For the most part, I was lucky. My AP students were presenting arguments about what our new president will have to do to unite the nation and I had the rubrics all ready - all I had to do was pay attention to them and assess them. I did not have to try to teach through the tears. And luckily, most of the kids were on Obama's page and most of them had deduced where my loyalties lie, so they would understand the tears as well. "It's coming!," Erika was screaming in the hallway. "Obama's acceptance speech! Come on - in my room... it's coming on NOW!" Students began pouring into the room. They were all in their pajamas as it was spirit week, and today was pajama day. They kept coming and coming. I wondered if all 270 of them were going to come. I wondered if they would sit down and shut up before Mr. Obama began speaking. He was already at the podium. The kids piled in. They scrambled onto the floor and into all of the available desks. They sat on laps. Girls and boys, boys and boys, girls and girls. The room was dark except for the screen - it was like watching a movie at a sleepover. I had no shame in my tears. A bunch of my boys sat next to me, and they didn't say anything about the crying. They understood. "Is that right now?" one of my students asked, pointing at the electoral vote count on The New York Times home page. It said 293. I nodded the affirmative. He got excited and pointed it out to his friends. Mr. Obama was speaking. I was sobbing, silently. Erika was balling. The kids were in awe. "...and to those of you in the far corners of the world right now, huddled around a radio..." a soft roar went through out crowd. A soft roar of pleasure and exclusivity passed through this room of teenage students, in their pajamas at school, with their wide variety of passports and nationalities. With their mixed up ethnicities, their dual languages, and their various, beautiful skin tones. These kids huddled around a projector screen in one classroom at a school in the most modern of third-world cities had been acknowledged by the man who was bringing them hope from across the globe and as they were experiencing one of the most historic moments of their entire lives and I knew right then they would never forget it. I reached once again for the tissue roll that was rotating between myself, Erika and a few students. While this is a defining moment for these kids, it was certainly a moment I doubted I would ever see in my lifetime. Certainly I acknowledged times had improved, but from my experience, I often doubted the sincerity and the authenticity of such changes. Even though I had many more opportunities than many folks belonging to the category of "other", I still witnessed, experienced and lived with that tense dynamic and it is part of who I am. I chalked up my success and my amazing opportunities, (and for the most part I still do,) to the individuals who provided them to me and pushed me and provoked me to do well - not to American society as a whole or any idea that times had changed. But, here we are November 5th, 2008. The United States of America has elected its first black president. The United States of America has elected the best candidate for president - something they hadn't done in the past two tumultuous elections. I spent the rest of the day oscillating between hugs of joy and tears of emotional exhaustion. I held hands with the mother of one of my students as she told a story of her friend, a Muslim woman who had to leave the States after living there 28 years. After 9/11, it was too tumultuous and too dangerous to be there, so she left. She instant messaged this parent of mine today, and asked her if now, since Mr. Obama is president, her son may actually have a chance. For nowhere in the Arab world, would they expect to see a black man elected either. The woman disappeared from IM without saying anything, probably, her friend (my student's mother) believes, because she was crying as well. Finally, on my way home from work this evening, I got it. I fully understood Michelle Obama's statement. I understood the reasoning behind it before - because I myself, had never been proud of my country. But, this evening, after a day full of tears, hugs, hand-holding, and more tears - I, for the first time in my adult life, felt proud of my country. It actually occurred to me this afternoon that I could at some point go back to the United States to live - and possibly even feel like I belonged there. Me - the amorphous yellow girl who has never felt like she has belonged anywhere in 29 years. Accidentally stumbled upon your blog while googling Barack's speech. I can't get over the part where he addresses those huddled around radios . So I searched it and your blog appeared. Funny right? Well, so I skimmed through the post out of curiosity and discovered that you're a fascinating mind. Keep up the good writings. 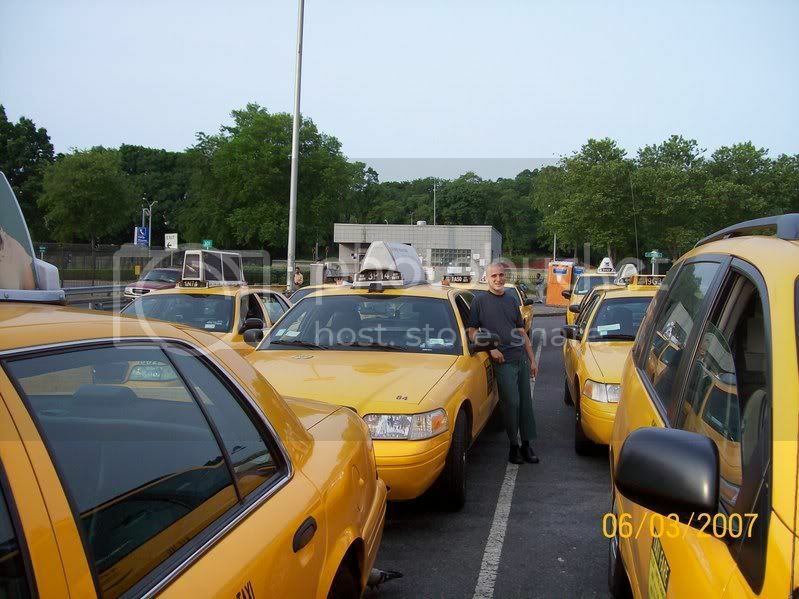 -A fellow blogger who blogs about taxi driving in NYC. Thanks, you! I heard the kids stood up to say the Pledge after Tuesday. Still brings tears to my eyes.